Max Effect Dip-In eye shadow gives your eyes a shot of intense, vibrant color with Max Effect Dip-In eye shadow. No shrinking violets, the range contains eight bold, modern colors from green and purple to blue and pink.No shrinking violets with our bright and sassy colors. The precision applicator makes striking shading easy.Dip In Eye Shadow makes applying loose shadow easy with striking results. Dip in and out of trends with our eight bold colors. Pearl and color pigments provide a flash of color. Sprinkle shadow on your lower lashes for emphasis. 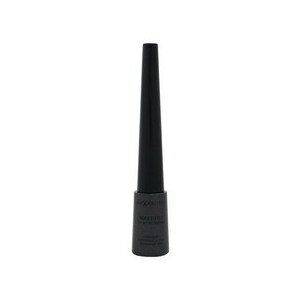 Precision sponge-tipped applicator is gentle on your eyes. Suitable for definition, intense color, dramatic, flawless, matte, natural, radiant, shimmering, smoky, color impact, day-time, day-to-night iconic look, natural, night-time, party, pastels, smoky eye, summer, wedding, work, powder. Ingredients: Mica, Boron Nitride, Titanium Dioxide, Dimethicone, Polyethylene, Silica, Pumice, Dimethiconol, Kaolin, Phenoxyethanol, Dehydroacetic Acid, Cera Carnauba, Isopropylparaben, Butylparaben, Isobutylparaben, [+/- CI 77491, CI 77499, CI 77163, CI 77289, CI 75470, CI 77492, CI 77288, CI 77400, CI 77510, CI 77000, CI 77007, CI 77742, CI 42090, CI 19140]. 1. Always apply shadow in small amounts and blend, blend, blend. 2. Apply light shadow from lash to brow and a medium shade to the crease and outer corner of your eye. 3. To emphasise the lower eyelash margin, use the Dip-In eye shadow on the lower lashes.